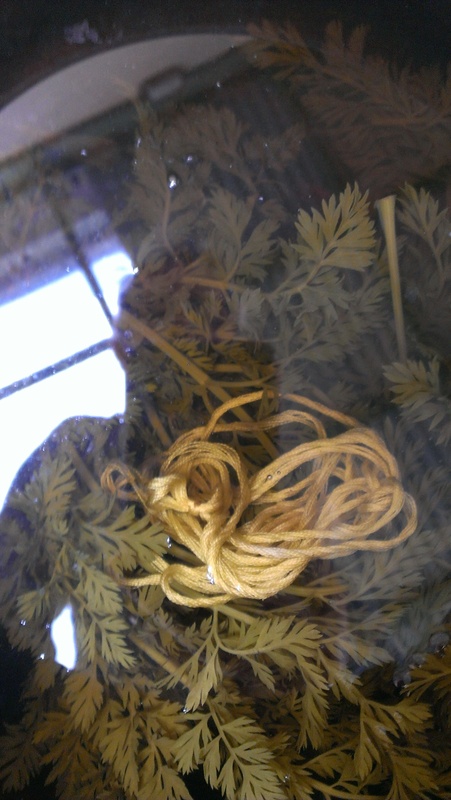 Having a hank of silk embroidery thread that has already been through a long, cold alum soak has been going to my imagination. 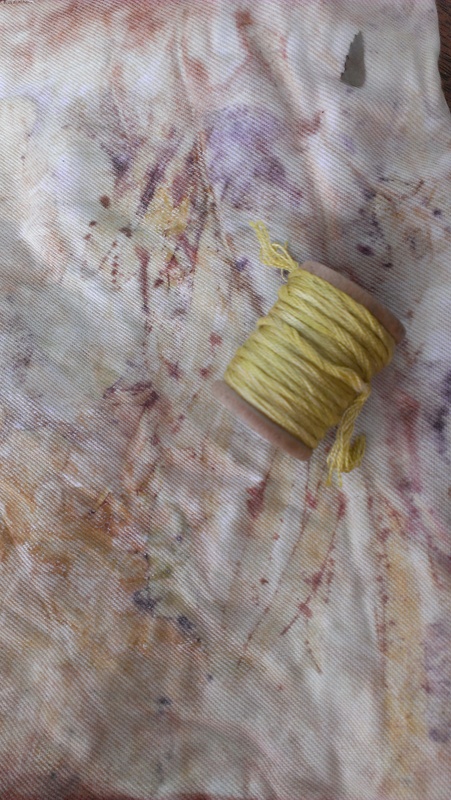 Usually when I think about local dyes I am thinking about eucalypts, but one recent weekend I went to the farmer’s market and when I cut the tops from these treasures, I was struck by the urge to dye with them. Into the pot they went without delay. Once the water went in, I saw there was a passenger. Can you see it (her, probably)? I did get her out of the pot eventually, and yes, with a long handled wooden spoon. Here, a photo of the dyer reflected in her pot, a day later. 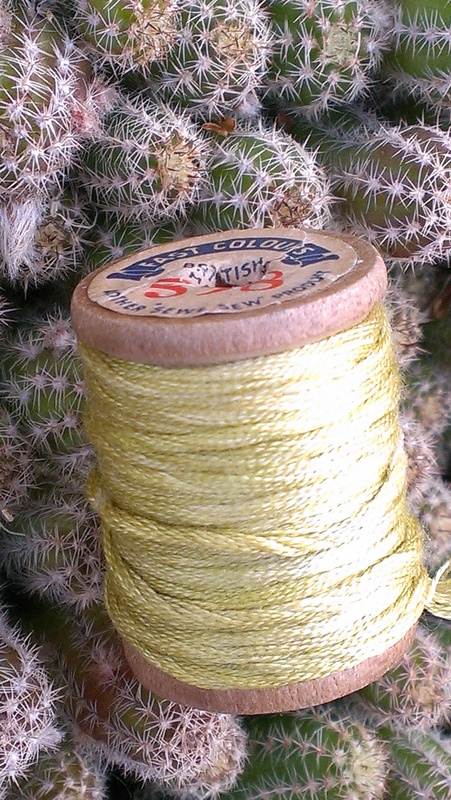 The thread is a greenish shade of yellow. I have plans already! that’s a very pretty colour, did you have any idea that you could get colour from carrot tops? Yes, I had been told by another dyer that this was possible. It wasn’t a totally random experiment! There used to be a spinner and dyer working on a stall at the local farmer’s markets and she offered me carrot tops a few times! Hi Lydia, I guess it was dark and cool inside the crate of carrots! 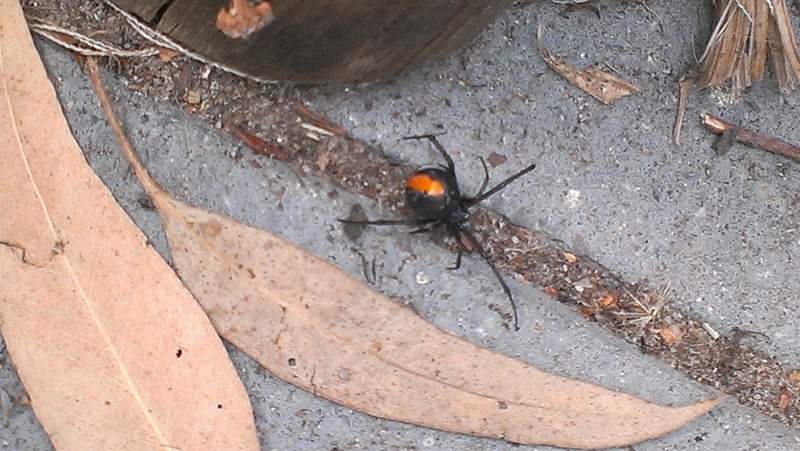 Like you, I think of red backs as spiders that like it best in the dark and prefer to stay out of sight. I never would have known she was there except that I submerged her home and she had no choice but to rise to the top. 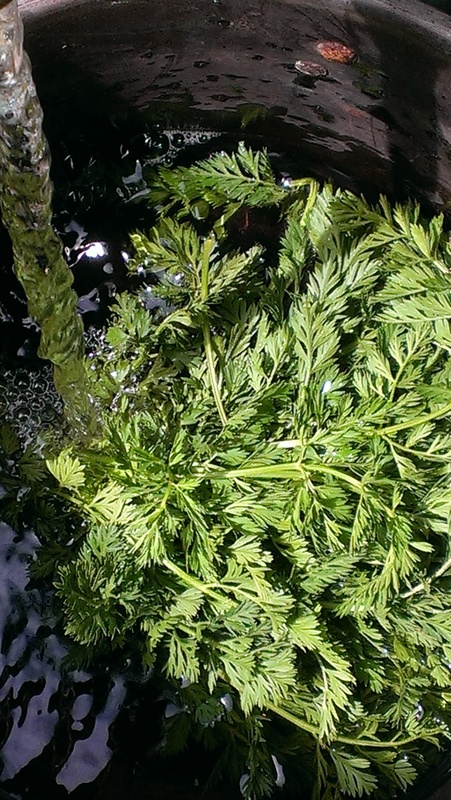 ARGH, and now our summer and ‘tons’ of carrot tops are GONE! Next year, I will remember. Thanks. 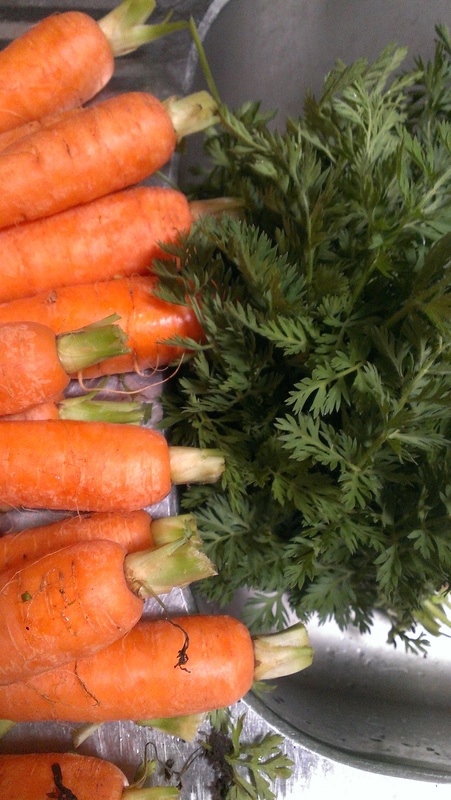 Ah, carrots… they will come again. Sorry I broke the news too late! aack. I just looked up the spider because it’s so striking…that’d be enough to put me off carrots with tops! Glad you saw her before she took a bite. This is the most famous Australian spider… there is even a song! But in all my 50 years of living here I’ve never been bitten. My parents taught me never to put my fingers anywhere I couldn’t see into. 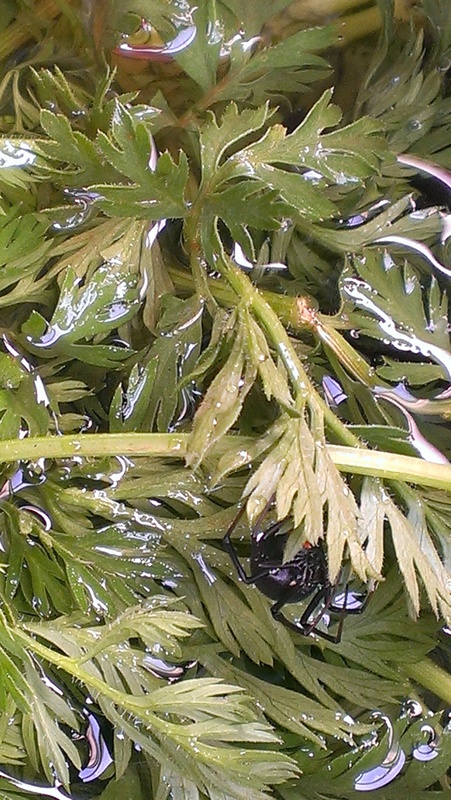 As another reader said, this is a shy spider and finding it in carrot tops was a big surprise. Glad I saw her before she got cooked!